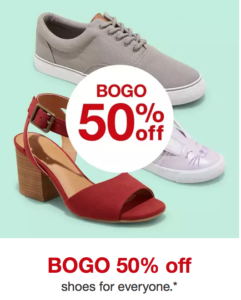 BOGO 50% Off Shoes at Target! Now through April 20th, you can buy one pair of shoes and get one 50% off at Target! Valid in-store and online. No promo code needed!